Praying you all had a wonderful God filled ThanksGiving! 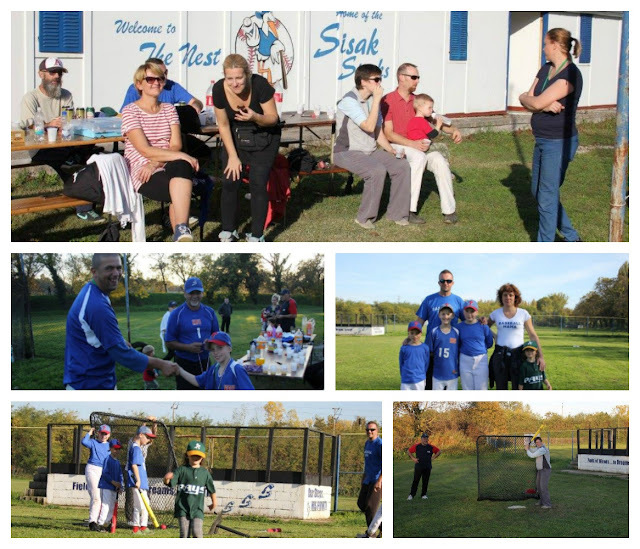 This is a brief update on the Sisak Storks Baseball Club and The NEST! Recently the Storks had a family day to celebrate the fall season and to spend time as family and friends. They had a meal and played a parent/player friendly game! It's so amazing to see the parents getting involved, following the games and participating in their children's sport. The pictures reveal the fun had by all! Be sure to look for the next blog with updates on our American Football developments and the Spring 2018 MLO details! As was mentioned in the overview update, we have a lot going on both here stateside as well as overseas, 6,000 miles away! I am going to attempt to give more detail on all those items listed, a subject at a time. So I will fist talk about our Storks Little League baseball team and what is going on at The NEST. Since the Astro's won the World Series, I figured it was only fitting I start out with our baseball stories! It’s been a while since my last blog and I want to update you on all that is going on with HiS PRINT. God is continuing to open doors and provide new opportunities! There are so many that today I will give you a brief overview of everything, and over the next several weeks I will provide detailed blogs on each. Here is what is happening with HiS PRINT in The Balkans and stateside! Teams from Zagreb have provided a new inning-by-inning scoreboard since their ball field was being demolished by the construction of a school.The Nest will be the host of the 2018 European 15U Baseball Championships! This will be the first time since the 2012 Championships.Local architects and city project managers are providing upgrades to the field and the club house.The Storks Little League team hosted a tournament and raised a $100 donation for the Houston flood victims.